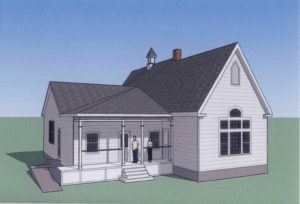 Goal: We intend to raise $250,000 to support the construction of the new addition and would like to break ground in Spring 2018. While generations have cherished the Ashaway Free Library for almost 150 years, in many ways we are in the early stages of meeting the needs of the 21st century. The Library has been laying the groundwork for building this addition since April 2016 and has received town planning and zoning approvals. We have received funding from the Horace A. Kimball Foundation and have grants pending at the Champlin Foundations, Ocean State Charities, Washington Trust, Ida Ballou Littlefiled, and the Lattner Foundation. 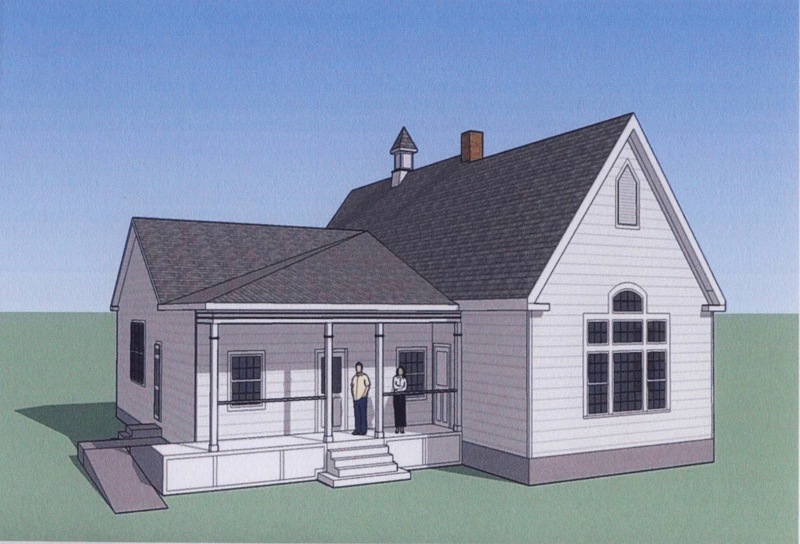 The Ashaway Free Library requests support for the addition of a community room to enhance the Library’s public service orientation and to involve and engage the community. Our mission is to enrich the community by providing resources and related services and programming for personal skills, self-improvement, career advancement, cultural enjoyment, entertainment, and creative activities. Our 2013 Community Study emphasized the need to better serve special populations such as the elderly, individuals with disabilities, and individuals with English as a second language. While about half our population have some college education, half have a high school education or less. Six percent of Hopkinton’s children under 18 live below the poverty level. In addition, the Library needs to be attentive to the needs of Town residents who are unemployed or underemployed. Additional space will allow us the ability to better serve all these populations. We also want to be able to respond positively to patron inquiries about book groups, craft groups, presentations and programs. We want to be sure the community knows that libraries are no longer only about a collection of books and media; they are centers for building community. Because of a lack of space, most programs and meetings are restricted to when the Library is not open to the public. The Ashaway Free Library (AFL) has a long and rich history. Located in the heart of the Ashaway Village, the library shares its historic neighborhood with the Jacob D. Babcock House, once a station on the “Underground Railroad” during the Pre-Civil War era and the Ashaway Line and Twine Manufacturing Company, a producer of tennis racket strings, fishing line, surgical thread, and rope and twine products. This world recognized business has been family operated and in operation in the Village of Ashaway since 1824. The library had its inception in 1871, when two local women, Hannah Cundall and Sylvia Salisbury, donated books and contributed money that resulted in a collection of 600 to 700 books. The early collection was housed in a small building known as The Ashaway Library and Reading Room in the village near the site of the present library. The Ashaway Library and Reading Room Association provided free public use of its reading room, books, magazines and a free admission to an annual lecture series. By 1907, the library’s collection was expanding, was outgrowing its little building and needed a new home. A group of local citizens came to the rescue purchasing the former Ashaway Kindergarten building at auction for $101.00 and moved the schoolhouse from Church Street on log rollers and wagon to its present location at the corner of High and Knight Streets. The Ashaway Woolen Company donated the land for the newly acquired building, and the Ashaway Line and Twine Manufacturing Company later deeded additional land to the original tract. In 1907, the library became known as The Ashaway Free Library and at that time was established as a share-holding company sponsored by several members of the community. This organization was later dissolved and the library was reorganized as the non-profit corporation, overseen by a board of volunteer trustees, as it remains today. The Ashaway Free Library has undergone many changes over the past one hundred and forty-four years but remains a vital center of culture and information for its community. The library truly is the little library with a big heart providing its 1,000 plus patrons with personalized, friendly library service and access to state of the arts information and materials in a wide variety of formats. Our annual budget is $115,000 of which we receive about 80% from the town and state. However, the 19% increase in the Town’s population over the last decade has not been matched by a similar increase in Library resources. In fact, town and state funding has increased minimally in the last five years. Leadership: The present Head Librarian is Heather Field who has provided capable leadership for the past sixteen years. We have a Board of 11 committed individuals headed by Fran Cohen.